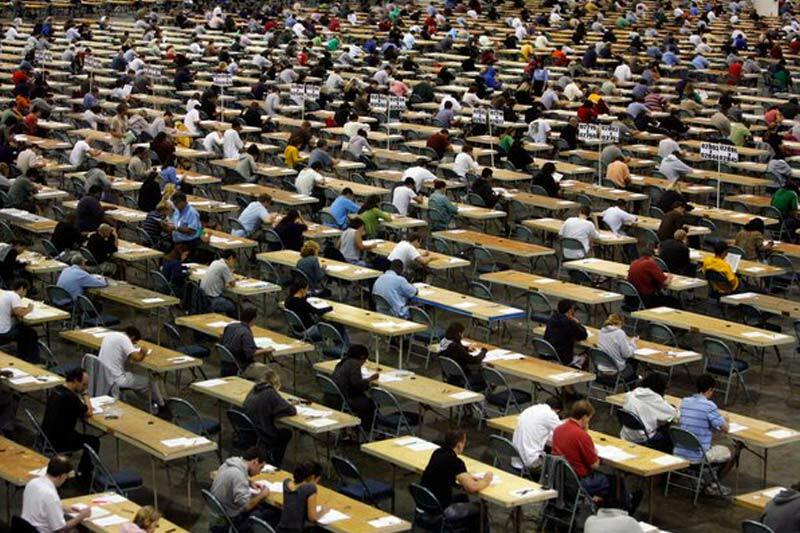 This fall more than 4,000 law school graduates planning to practice law in New York State learned that they did not pass the July bar exam. If you’re one of them, you’ve probably seen that on top of being a categorically miserable experience, it forces you through a range of emotions and questions: Why did I go to law school in the first place? What could I have done differently? Do I have what it takes to pass the exam? The most vexing question, however, directly relates to the fact that the pain of feeling like the whole world will no longer view you as an intelligent person (spoiler alert, no one will care that you didn’t pass the summer bar when you are sworn in and start practicing a year from now) is not half as terrible as the thought of spending the next four months re-reviewing the material that you wasted your entire summer learning: Do I sit for the NY bar exam again in February, or do I take a few months off and attack the exam in July? The question of whether it would be better to “take a break” from the law for a few months or immediately “get back in the saddle” is one that has every lawyer who ever failed the exam has faced. In most years, you know that as much as you’d love to “take a break,” your friends and loved ones might not understand and might consider it a sign that you’re lazy or you’ve lost direction. This year, however, any selfish longing for an MBE-free winter has an alibi in the form of the UBE. You’ll be able to tell people that you’ve elected not to take the exam in February because the format of the test is changing and that if you wait for July, you’ll be able to use a passing score to apply for admission in other jurisdictions. So is it worth it? Should you postpone until February? Do you plan on practicing in another UBE jurisdiction within 36 months of the July exam? If yes, that weighs in favor of waiting for the UBE in July. If you plan on being in New York for at least three years, then there’s little point in postponing the start of your professional career by half a year (UBE score portability evaporates in jurisdictions within 18-36 months depending on the jurisdiction, not to mention that it will cost over $1,000 to apply for admission in another jurisdiction). Will you have appreciably more time to study from May through July than from November through February? If yes, this is the strongest argument for postponing until July. Time is your biggest ally when it comes to studying for the bar exam. If no, again there’s little sense in delaying. Unless the answers to the above questions were strong yeses, it probably makes the most sense to get back in the saddle and consider retaking the bar exam this February. You’re just over three months removed from the July exam, so the material is a lot more fresh in your head than it will be if you choose to pick up the books again in May. You’ll likely see that you get stronger with each week that passes following the release of the bar results. Feelings of self-doubt that you feel today may turn, by the end of November, into the chip on your shoulder that you harness to get through the exam once and for all. Take things one day at a time. While some people are wired to dig back into the material on day one, you realistically have until November 30 to register for the exam (and even a little longer if you register to take the exam and then decide not to sit).